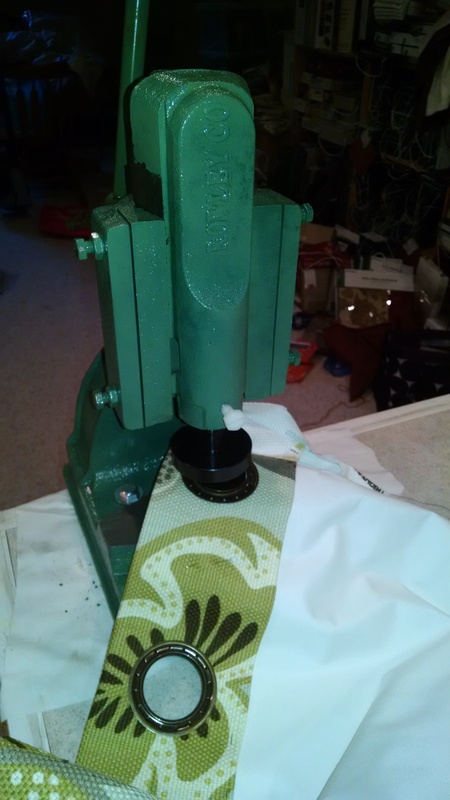 Window Treatments with Grommets - Sew What Sew Anything - Sew What? Sew Anything! 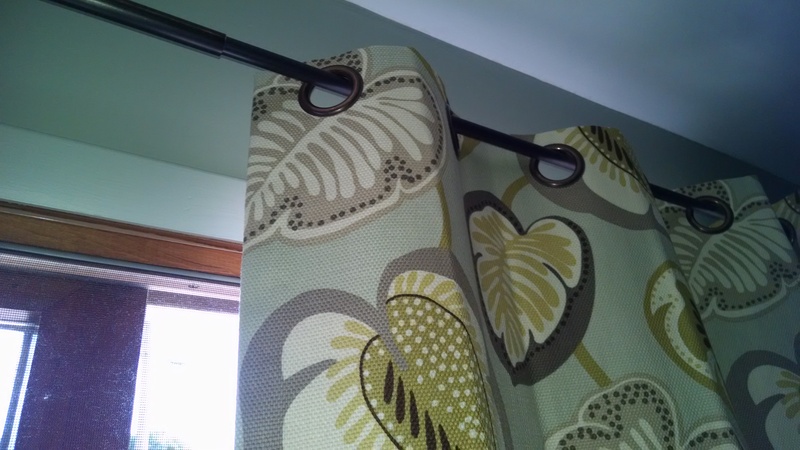 People often avoid situations that require them to learn something new, my big fear was window treatments with grommets. Well, that was the case for me not too long ago. There is this client that I have been working with over the past four years. In that time I have added window treatments or blinds to almost every room in her home. You see she had a plan that I didn’t know involved my business. She herself is a very successful business women who owns a local retail store. What she wanted was to have all of her home window treatments updated. Together we did one room at a time, sometimes only one room a year, other years it was 2 or 3 rooms. So, we were down to the final room. It was a patio doorwall, she had the drapery hardware but wanted the drapes replaced. She said, the only thing is “it has grommets.” Well, I didn’t do grommets. This was a problem. Big Green weighed-in at over 55 pounds. So I watched more videos and blogs until I was ready to open the box and have this piece of machinery attached to my worktable. It took me a week of looking at the machine and walking past the machine before I got the courage to make some grommets. First, we practiced cutting the holes and making the grommets. We had 48 grommets to make for my friend and client’s project. If I messed up on even one grommet, I would have had to remake a drapery panel. So we were careful and formed a work plan to cut all 48 holes, and then added the grommets. Not one mistake! The result was fabulous! I was so happy and so was my client! I say: bring on the grommets! I can’t wait to make more grommet drapes. By overcoming my own fear of something new I have added to my ability to serve my clients. We all win!